UNCITRAL conferred a broad mandate on Working Group III to consider possible reform of ISDS.In Phase 1 governments identified and considered concerns about ISDS. Phase 2, where they consider whether reform is desirable in light of those concerns, is well advanced. The next meeting in New York in April 2019 is expected to conclude this phase and decide how to pursue the final phase, in which governments will develop any relevant solutions to recommend to the Commission. Creating other forms of unfairness in the arbitration process. There are also fundamental questions about whether the costs of investment treaties, particularly as a result of ISDS, outweigh their purported benefits as tools for attracting sustainable investment, depoliticizing disputes and improving the rule of law. However, this reform process has become unduly narrow. First, the scope has been limited to issues of procedure and not substance, even though interventions from a number of participating governments have argued that substantive rules of investor protection and ISDS are in key respects inseparable.Second, those procedural discussions were then concentrated on three categories of concerns, pertaining to (1) consistency, coherence, predictability and correctness of arbitral decisions; (2) arbitrators and decision-makers; and (3) cost and duration of ISDS cases. Limiting the issues covered in Phase 2 will, in turn, constrain any reform efforts during Phase 3. The UNCITRAL secretariat’s scoping paper recognizes that governments might wish to consider other relevant issues.However, other fundamental concerns raised by various developing countries have been relegated to “other concerns.”There was no space to discuss them at the last session and, while the chair stated that there would be at the April 2019 session, they do not appear on the draft agenda for that session. This note addresses three issues at the heart of the legitimacy crisis confronting the international investment regime that should inform the remainder of Phase 2. Any person who has an affected interest should have a right to standing in a legal proceeding, at least to the extent of that interest. Yet this basic right is grossly disrespected in ISDS. When foreign investors sue countries, they often make allegations and raise issues that affect others who have no legal right to participate, because ISDS excludes others from the process of deciding foreign investor claims. Therefore, investors can make allegations against people and organizations that have no right to reply. Where the person has been denied the right of standing, an ISDS tribunal risks making a decision that harms someone without having heard from him or her. That is deeply unfair. While the procedural option of appointing an amicus curiae can be very helpful, its purpose is very different. Amicus was never meant as a substitute for the right of standing. In a fair process, all affected parties would have notice of the claim and its relevance to their interests and an opportunity to decide whether to seek standingto the extent of their affected interest. As the proceedings unfold, it may emerge that the party can provide facts that the investor and government could not or did not provide.To protect their rights or interests effectively, the affected party should also have access to the relevant evidence put before the tribunal, an opportunity to test the evidence, an opportunity to make claims and submit evidence, and so on. ISDS permits foreign investors to circumvent a country’s courts, regardless of whether they offer justice and allows foreign investors to avoid the ordinary laws and courts that govern everyone else. In customary international law private parties must exhaust local remedies before their grievances can lead to an international claim against a country. That rule shows respect for the country’s institutions and gives the country a chance to fix problems before they are brought to an international tribunal. It also recognizes that the foreign national’s choice to enter a country carries a responsibility to accept domestic laws and institutions. Customary law always allowed an international tribunal to waive the duty if a foreign national showed that local remedies were not reasonably available or would be obviously futile to pursue. In ISDS, foreign investors have been excused from this duty completely. This remarkable step has opened up dubious lawyering options for investors, especially by those most able to finance ISDS litigation (that is, large multinationals and the ultra-wealthy), who have the sole discretion to decide on the reliability and suitability of local remedies: they might sidestep the courts by challenging a country’s decisions without going to the courts; bring an ISDS claim if they lose in domestic courts; bring disputes to both forums in parallel; or seek an international order of compensation against the country, thus avoiding limits on judicial awards of compensation in domestic law, while also pursuing other remedies—such as the striking down of a law—in domestic courts. These practices contradict the oft-stated goal of investment agreements and ISDS to enhance the rule of law. A primary means for doing so is to preserve the role of domestic legislative, judicial, and administrative processes in creating, applying, and enforcing legal commitments. The focus should be to strengthen these institutions. An investment court model, much like ISDS, would generate a substitute system for the settlement of investment disputes that risks disincentivizing and undermining this type of reform at the domestic level, especially in the absence of a duty to exhaust local remedies and deference to the domestic institutions. As ISDS has expanded, the real purpose of the treaties appears to be to allow foreign investors to move their disputes to forums that are financially dependent on their business and which are often unfairly favourable to investors.The end result is the best of both worlds for foreign investors: accountability for others and a way to avoid accountability for themselves. Several delegations have raised a systemic and cross-cutting concern about the chilling effect on states’ regulatory capacity and sovereignty of vague, pro-investor rules that are enforced through the ISDS mechanism, and that can undermine states’ constitutional obligations, subordinate states’ responsibilities to regulate in the public interest and the public good, and erode democratic electoral mandates, processes and accountability. The fiscal costs that contribute to chill include those of preparing a response, including operational and opportunity costs within government and tendering for and appointing counsel. The risk of an investor threatening or lodging a claim with an intent to chill is heightened by the advent of third-party funding. Even where states mount a successful defence, they may not be awarded costs, any sum that is awarded may not fully compensate for the country’s fiscal outlay, opportunity costs, and costs from delays in implementing the measure, and the costs award may never be paid. The impacts of chill are wide-ranging. When measures designed to advance the public good are stopped, delayed or weakened, there are always opportunity costs, as well as downstream financial costs, such as for health expenditure or environmental remediation. There may also be non-monetary ecological and human costs, as with delayed action on climate change. Governments face their own legitimacy crises when they are unable to respond to the social, economic, or cultural needs of their citizens, which may carry severe political consequences. Likewise, adjudicatory chill may undermine the rule of law by denying effective access to justice and remedies for vulnerable or exploited communities. The development asymmetries between capital-importing and capital-exporting countries mean the impact of chill cuts most deeply for poorer countries, and for the ability of governments to deliver to the world’s most vulnerable communities. In interpreting the UNCITRAL mandate, Working Group III needs to keep in mind the original impetus for the current reform push, which lies in deep concerns about the democratic accountability and legitimacy of the international investment regime as a whole, and especially of ISDS. 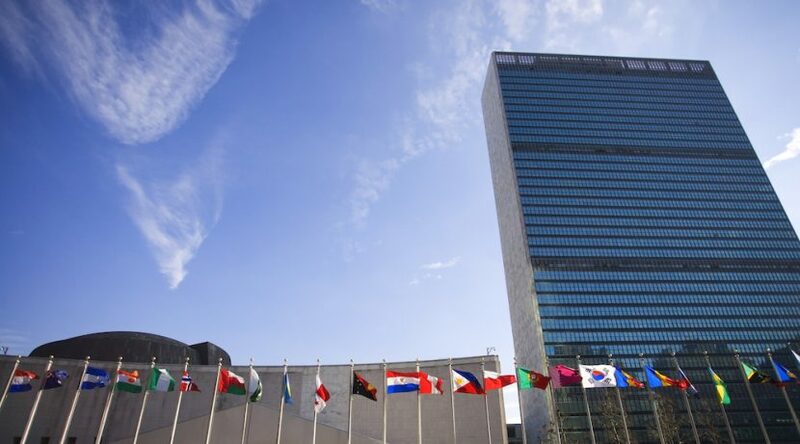 The UNCITRAL reform process cannot solve all contentious issues, but if it is to alleviate the accountability and legitimacy crisis to a significant degree, its work plan must include steps to assess whether the issues identified for discussion and potential reform will genuinely address the core concerns. Those factors should include the specific matters addressed above. More fundamentally, they should reference the objectives of the international investment regime itself. One clear criterion is the ability to fulfil members’ commitment to the UN Sustainable Development Goals, including respect for human rights and governance structures that ensure inclusive participatory processes and equal access to justice. Another is whether those concerns will address the current inadequacy of the international investment regime to encourage sustainable new investment for development purposes in states that need it. In 2018 the UN Secretary General observed that IIAs often have unintended consequences of constraining regulatory space or large financial penalties through arbitral awards, and called for reform policies that align agreements with countries’ national development strategies.If the regime is to be made supportive of development and overcome the legitimacy crisis confronting the international investment regime, something more is required than procedural reforms to ISDS on three narrow categories of issues. Jane Kelsey is Professor, Faculty of Law, University of Auckland, New Zealand; David Schneiderman is Professor, Faculty of Law, University of Toronto, Canada; and Gus Van Harten is Professor, Osgoode Hall Law School of York University, Toronto, Canada.